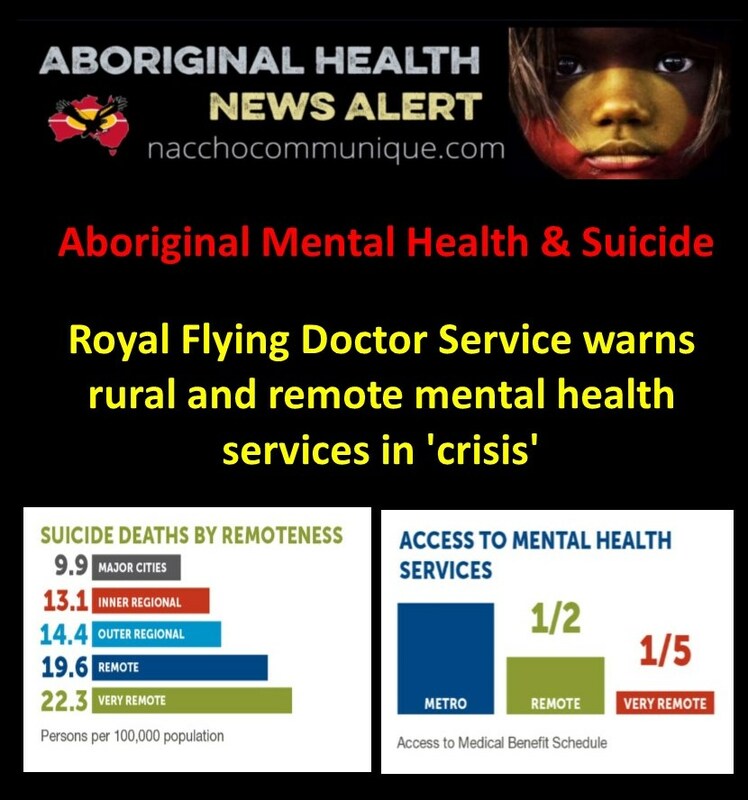 NACCHO Aboriginal #MentalHealth and #Suicide : @RoyalFlyingDoc says mental health services in rural and remote Australia are in a state of “crisis”. “We see [more remote] people only accessing mental health services at … 20 per cent the rate of those who access services in the city. If that’s not a crisis, I don’t know what a crisis is. 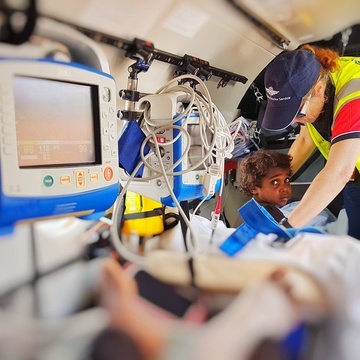 We provide 24-hour medical care to people in rural and remote Australia, but our doctors are finding themselves overwhelmed by the amount of psychological support they need to provide to their patients. 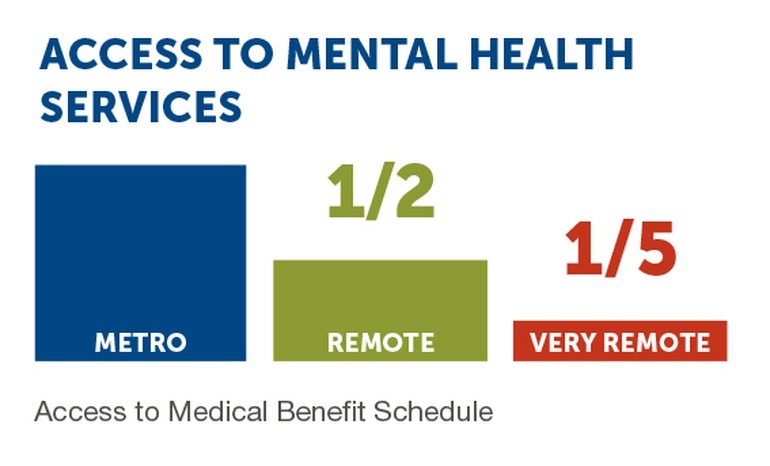 Last year the Flying Doctors saw 24,500 people to provide mental health counselling, but we could double or triple that service tomorrow and still not touch the surface,” . “Roughly half the people the Flying Doctor cares for in our health or dental clinics or transports by air or ground are Indigenous. The Royal Flying Doctor Service says mental health services in rural and remote Australia are in a state of “crisis”. Data from the Department of Health showed the number of registered psychologists across the country increased in 2015/16. But there were no registered psychologists in 15 rural and remote areas. Mr Laverty said areas like west coast Tasmania, central Australia, western Queensland and the Kimberley in Western Australia missed out. “Areas where perhaps you’re not surprised to see that there aren’t health professionals in abundance,” he said. Mental Health Australia chief executive Frank Quinlan said doctors were not always the best people to provide mental health support. “It is not necessarily the best way for us to be spending our resources — to have GPs with 10 years or more of training — delivering basic brief interventions and counselling interventions that could be delivered by other professionals and trained peer workers,” he said. Suicide rates in rural areas are 40 per cent higher than in major cities, and in remote areas, the rate is almost double. The Coalition allocated $80 million for psychosocial support services in last year’s federal budget. The program would help people suffering from severe mental illness — who are not eligible for the National Disability Insurance Scheme (NDIS) — find housing, education and better care. But the Government will not release the money unless states and territories stump up funds too, and Mr Quinlan said that was yet to happen. “That’s in spite of the fact that we know that with the roll-out of the NDIS and the roll-back of previous Commonwealth programs, people are already starting to fall into the gaps,” he said. Health Minister Greg Hunt has acknowledged more assistance is needed for people in the bush. “I do believe there is a very significant challenge and this is because there are four million Australians every year who have some form of mental health challenge and in the rural areas this is a significant challenge which is precisely why we are looking at additional services,” he said. The Federal Government recently announced more than $100 million for the youth mental health service Headspace. It is also spending $9 million improving tele-health services in rural areas. But mental health advocates are calling for a bigger commitment to such initiatives in this year’s federal budget. “The Minister — Greg Hunt — was relatively new to the ministry when the 2017 budget was released,” Mr Quinlan said. The Turnbull Government must break its silence over growing concerns about the quality of mental health services being delivered across Australia. The Royal Flying Doctors Service is the latest organisation to raise the alarm about mental health service issues in rural and remote Australia. These comments today should be a wake-up call for Malcolm Turnbull. It is vitally important the Turnbull Government gets this right. The mental health gap between the city and country is already too wide. Today’s comments follow the Australian Medical Association’s position statement on mental health last week on the ‘gross’ underfunding of mental health services. 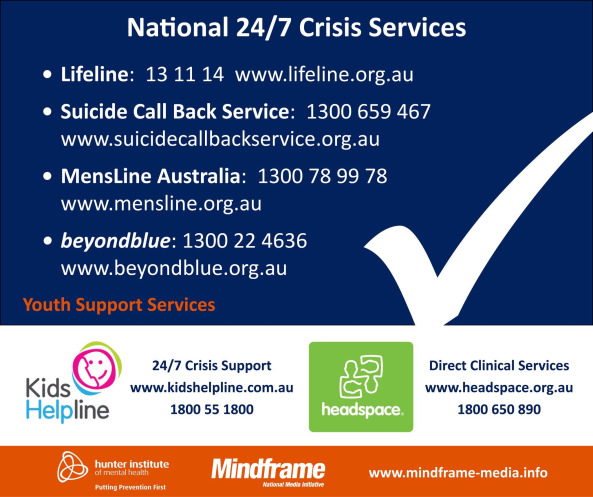 The Turnbull Government must prioritise greater funding for mental health services in the lead-up to the Budget. Labor knows there is more work to be done to improve the mental health of all Australians and find ways to further reduce the thousands of lives lost to suicide each year. It is only by working together that we will be able to finally reduce the impact of mental health issues in our society . Mental health services need more than lip-service from Malcolm Turnbull and his Government.